Every manufacturing process is complicated and there are may points to consider while choosing a plastic injection mold manufacturer which best suits your industry, products and requirements. So, the first and foremost thing is to start by gaining basic knowledge of the plastic molding process. Plastic molding process used polymers or plastic resins, which when heated, melted and injected under high pressure into a custom mold, will produce plastic parts. Though this process seems to be straightforward, still the processors need an injection mold manufacturing partner who can produce highly complex molds and can cater to their unique industry needs, specifications, end-uses and time/ budget constraints. It isn’t hard to discover a plastic injection molding manufacturer, the most easiest way is to participate in different exhibitions, trade-shows, conferences and other plastic industry events happening worldwide. You will get the opportunity to stroll around, gather information and meet many mold manufacturers participating in the event. 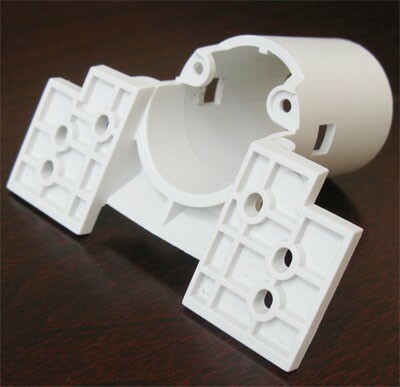 We recommend that the key point should be ‘appropriate match’ while choosing a plastic mould maker in China, keeping quality, deliverability, efficiency and cost as the critical criteria. For any plastic finished good manufacturer or plastic part manufacturer making quality parts reliably and beneficially. The expert mold manufacturer can help minimize expenses and make you earn more money and at the same time establish a reputation as a quality product manufacturer. Also, having an expert mold partner can help you establish long term customers and fulfilling their needs on time. 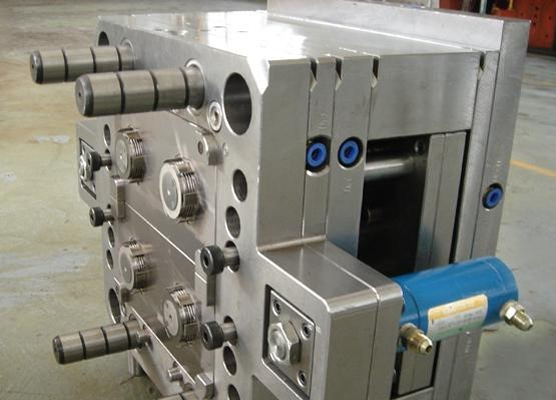 Once the raw material to make molds arrive to factory, Injection mould makers inspect the mold materials in time and arrange technical experts to do turning, grinding, milling, screw holes, water carrying hole, center hole, CNC roughing, etc. The experts should pay attention to the precision of each right-angle sides, avoid empty of the center hole and each production base, roughing margin etc. The mould maker must do a comprehensive inspection for all related parts before assembling the plastic injection mold to make sure everything is in a good condition, and do cleaning and anti-rust treatment. Complex moulds are used to make more complex plastic parts. Such complex moulds have sections called slides, that move into a cavity perpendicular to the draw direction, to form overhanging part features. The slides are pulled away from the plastic part when the mould is opened, by using stationary “angle pins” on the stationary mould half. These pins enter a slot in the slides and cause the slides to move backward when the moving half of the mould opens. The part is then ejected and the mould closes. Previously moudled parts are reinsterted into some moulds to allow a new plastic layer to form around the first part. This process is commonly referred to as overmoulding. This mechanism can allow the production of one-piece tires and wheels. Multi-shot or Two-Shot moulds are formed to “overmould” within a single moulding cycle and must be processed on specialised injection moulding machines with two or more injection units. This process is actually an injection moulding process performed twice and therefore has a much smaller margin of error. The base colour material is moulded into a basic shape in the first step, which has spaces for the second shot. Then a different colour second material is injection-moulded into those spaces. For instance pushbuttons and keys, made by this process have markings that cannot wear off, and remain legible with heavy use. Selecting a plastic mold supplier using general purpose screws in the making of the mold. Matching right clamp tonnage with the mold quality and machine in the use. This is a well known fact that not all injection mold manufacturers provide expanded services or the technology required to help design specialized parts for OEMs or of international quality. It is important for a mold manufacturer to offer prototyping, part design services, quick response manufacturing, in-depth mold flow analysis and more – in addition to their traditional service offerings. Selecting a mold manufacturer with these technical capabilities can help you create valuable cost and timing efficiencies to achieve your product to market. Company like Sositar, you can keep a diligent checks on all of the above points and many more keeping the customer requirements and quality above anything else. Their service includes various plastic mold making and injection molding, prototypes, silicone, and rubber molding etc. Greatest efficiencies with overall project time and budget are important factor to note which happen early in the development cycle, specially the design process. That’s why it is important to choose an injection mold manufacturer that can become involved early in the design process, understand your objectives and can predict production issues before they occur.